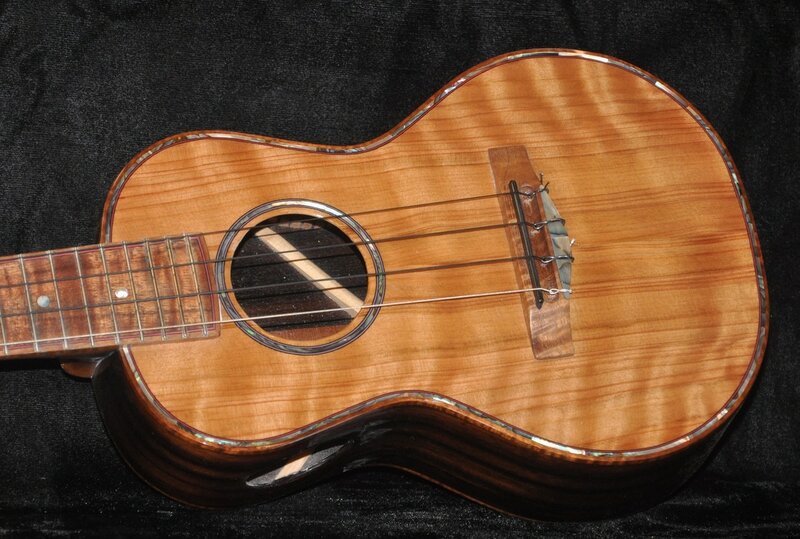 This is a concert ukulele that I recently finished. I have been playing it as my own ukulele for the last month or so. Nice tone, good volume. 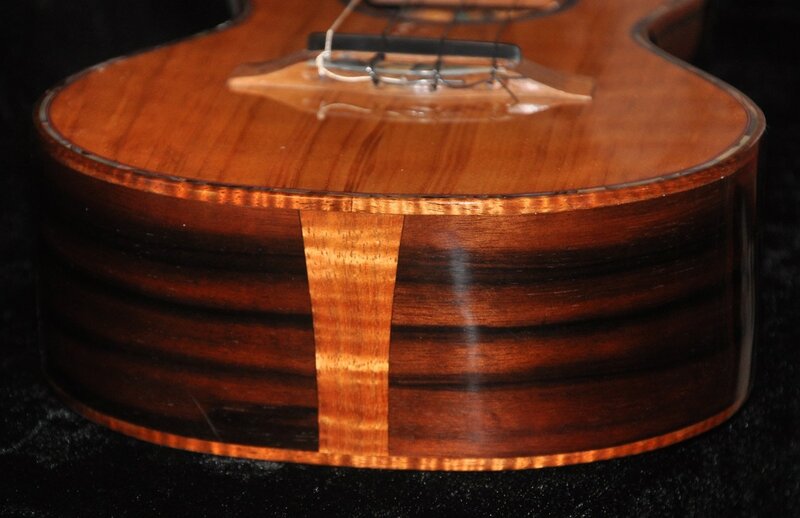 It has a curly Sugi Pine top, Macasser Ebony back and sides, Spanish Cedar neck, koa fretboard and bridge, curly koa binding, curly koa head plate, gold plated Gotoh geared straight tuners, abalone and mother-of-pearl hand cut inlay, Paua solid shell purfling on the top, and a side soundport. Comes with a good quality hardshell case.